Healthy, homemade and gluten free popsicles!! The best part? 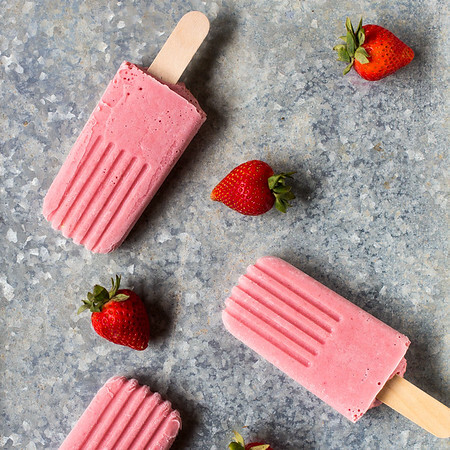 This Raspberry Yogurt Popsicle Recipe is kid friendly and adults love them too! Post contains affiliate links, full disclosure on side bar. Why Pam, didn’t you just do a popsicle recipe last week, these Banana Berry Popsicles? Yes. Yes I did. 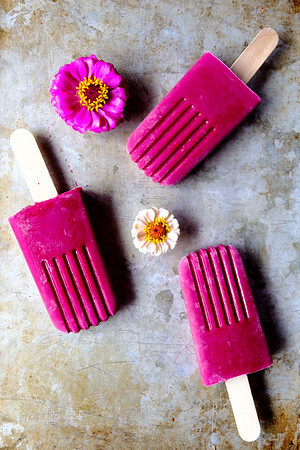 And the week before, these Beet and Strawberry Smoothie Pops? Thank you for noticing. And you know what? I’m doing popsicles again this week. AND, not only am I doing popsicles again this week, but they are from the same book, Donna Hay’s Fresh and Light. AND, not only are they from the same book, they are from the same page of the book. Because you know what? It’s hot. It’s summer. And I like frozen treats on a stick. End of story. I don’t know what it’s like where you live, but around here raspberries are pretty expensive for a tiny little container. These popsicles make sure that everyone can get their fair share. I also don’t know about how obsessed you are with fair share, but around here, we’ve been known to count the grapes on a sprig to make sure no one gets more than the other. 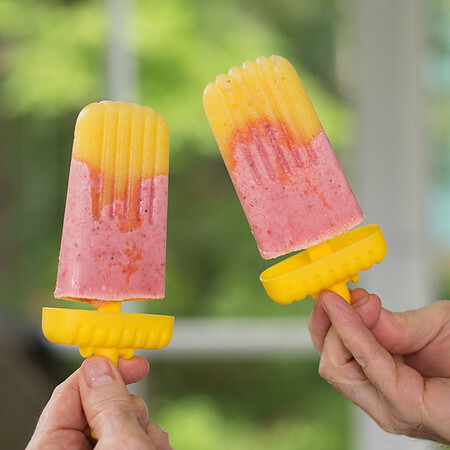 The healthy popsicles are so easy to make! You basically mix everything up in your favorite mixing or batter bowl and pour into your favorite popsicle molds. Freeze. Eat. What can I say about these Raspberry Yogurt Popsicles. They were wonderful. I have totally fallen in love with the ease with which you can make popsicles with fresh fruit and vanilla yogurt. It’s crazy easy. I’ll be making these again and again, with whatever fruit is in season. AND, with some booze. 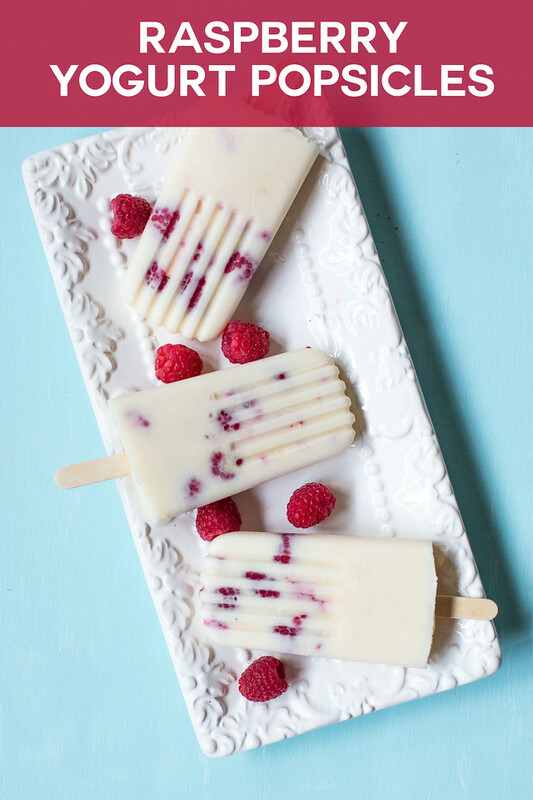 These Raspberry Yogurt Popsicles are healthy and delicious! Combine yogurt, milk and agave syrup in a large measuring bowl and stir to combine. Add the raspberries and stir to combine, breaking up the raspberries a bit. Pour into popsicle molds. Freeze for at about 4 hours. I pinned your special summertime treat! Thanks so much for sharing with us at Full Plate Thursday and you have a great weekend! These look so good and perfect for the summer! It’s so hot here today. I could sure use one of those. Yummy. Beautiful, my daughter love this, thanks for sharing with Hearth and soul blog hop, pinning and tweeting. These sound amazing! We’re Featuring this post at the new Merry Monday party starting tonight! These look amazing Pam! And sound delicious. I fully support your making popsicles all the time! I hope you get some rain soon to cool down :\. Your hot unrelenting weather does not bode well for our upcoming summer. I do not like the heat. I do not like the heat at all. I’, off to buy some ice block moulds.